Fly-by-Night Holiday Light Installer from the Real Pro? What Questions Should I Ask That Will Separate the Fly-by-Night Holiday Light Installer from the Real Pro? 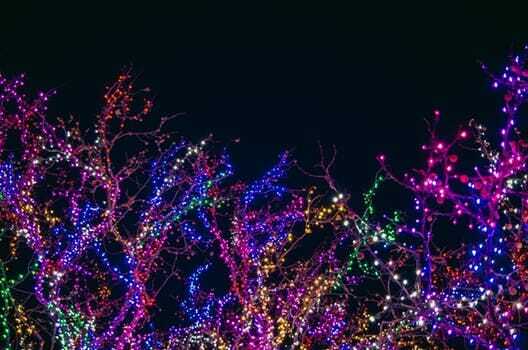 With the Christmas season just around the corner, it’s very important to read up on Christmas lights and holiday decoration installation companies, and the questions and research that you should do to figure out and separate the fly-by-night-type people from the true professional companies that are doing these installations. Realize that Christmas light installation is a one-season-a-year type deal. You want to find a company that is keeping themselves busy throughout the entire year providing other services in your neighbourhood. These professional companies are usually going to be companies that also do window cleaning, power-washing, and gutter cleaning. When these companies are doing other things throughout the year, it’s going to set them apart from somebody that’s just going around in November-December, knocking on doors, saying, “Hey, my friend and I have a ladder. Do you want us to put up Christmas lights for you?” Avoid those people and try to find the companies that have a good reputation in your neighbourhood for doing other services as well. Make sure that the people that are going to be on your property are fully-trained and fully-insured. Ask in writing, either in an email or just on a piece of paper their Full Liability and Worker’s Compensation insurance, proof of that, and that it’s active with a date that is not going to be passed when your work is being completed. Make sure it’s an active insurance document. A truly professional company is going to be able to shoot that right off to you in an email. They will have that readily available to give to their customers because that is something that they have. Somebody that is just going around one or two months out of the year will not have insurance, because it’s not something that’s cheap. A company has to pay quite a premium in order to have their service technicians fully insured when they’re out in the field. Having something that is not inexpensive to have will let you know that they really take their business seriously and that they take safety seriously as well, which means they training their technicians— the guys and girls that are going to be up on the ladders, doing your roofline, doing your trees, putting those lights up there, hanging your wreaths— know what they’re doing and they’re being safe. If an accident does happen because they have that full liability insurance, you are not going to have to worry about you being responsible for that, that’s going to be on the company. Do your research. Check online and go over all the companies’ reviews, good and bad, in different sites. Don’t just go to one site and go off of that. Make sure that you’re looking around. Check their Facebook page, check their actual website, making sure that they’re doing other services and that customers have been happy with them throughout the year and not just because of that one service. If you’re still not confident that the company that you’re thinking about hiring knows what they’re doing and is a professional company, the online reviews just seem a little off to you or there are not enough reviews, then go ahead and ask that company to provide you with two or three customers with their information: their emails or phone numbers or whatever they feel comfortable letting the company provide to you. Contact those customers and ask for a testimonial. You want to hear straight from their customer that they were happy with the service, and you want to have that conversation with them. Lastly, make sure that you meet the companies and service providers in person. They are coming to your home, sitting down with you at your kitchen table, and going over a plan with you. A legitimate service provider for any service, especially for Christmas lights (because it is one of those things where you can just find random folks to put up lights for you), is going to sit down with you. They’re going to say, “Here are all the services that we can provide for you, we can do your roofline, we can hang your wreaths on your windows, we have a cherry picker to do your big trees in the front, we can line your pathways.” They are going to give you a full service list and a range of services that they can offer you. They’re going to give you actual prices and tell you, “This is what we are going to charge you for your home.” They’re not going to say, “Ah… somewhere between $400.00 and $500.00,” and then all of a sudden, it’s $600.00, $700.00, $800.00, $900.00. They are going to give you a plan, execute your vision, and give you a firm price for that. In writing. Always ask for your estimate in writing. Make sure that you’re confident, asking as many questions, do your research, pulling a couple of different companies and don’t trust somebody that you don’t get a good vibe from. Make sure you’re meeting with them face to face and ask them to provide you with everything that they can do for you: price, their insurance, testimonials, reviews and “Before and After” pictures. Ask for those, too, or if they have videos. Ask them if they have some videos of lights being installed, their installers up on the ladders putting the lights up, and then that evening, when their customer is turning the lights on. To recap, in order to ensure that you’re hiring a professional installer, ask whatever services they provide year-round, for the proof of insurance, testimonials, “Before and After” pictures from their customers in the past, for an in-person estimate with an agreed-upon plan in place, and a firm price in writing, with a firm date and time confirmation for their arrival.